And he’s correct. The people we elect should be held to a high moral standard because, according to Socrates, lead­ership is “the noblest kind of excel­lence.” The actions and rhetoric of our pres­i­dents should befit the dignity of the office they hold and the ideals and values they rep­resent as the Pres­ident of the United States. It is no secret that Trump — an admitted serial adul­terer among other things — seems to be severely lacking in many of these essential qual­ities. He is not a leader that we should hold up to the next gen­er­ation for them to emulate, and he is not a man we should hope our sons grow up to be like. With that being said, what is the point of Romney’s op-ed? Trump’s faults are not new and they have been more than suf­fi­ciently covered by main­stream media. Romney claimed he wrote it as a dec­la­ration that he will stand for his prin­ciples, not just for Trump and the GOP. This is all well and good, but actions speak much louder than a con­tro­versial column. Fur­thermore, this moral pos­turing by Romney points to the pos­si­bility of a 2020 primary chal­lenger for Trump — a move that would be sure to fail and guar­antee a Demo­c­ratic pres­ident for the next four years. I may agree with the message of Romney’s op-ed, but his political moti­va­tions remain a mystery. The reac­tions to Romney’s piece also reveal an alarming trend that has become all too common in the era of Trump. In an effort to defend the pres­ident and his agenda, Trump’s most ardent sup­porters attacked Romney and denied the exis­tence of the president’s obvious flaws. One of the most egre­gious examples of this was artic­u­lated by the pres­ident of Liberty Uni­versity, Jerry Falwell Jr. in an interview with the Wash­ington Post. When asked if Trump could do any­thing to lose his support, Falwell responded with a simple “No.” When pressed, he elab­o­rated, “Only because I know that he only wants what’s best for this country … I can’t imagine him doing any­thing that’s not good for the country.” This statement demon­strates an aban­donment of prin­ciples that has accom­panied the cult-like support of Donald Trump. The pres­ident, regardless of his char­acter, has become the standard by which right and wrong is judged, replacing the eternal truths that Chris­tians and con­ser­v­a­tives claim as their own. Others artic­u­lated a similar sen­timent, saying Romney should just get in line and help the Repub­lican cause rather than causing division within the party by talking about silly things such as one’s char­acter or morality. Like Falwell’s, such state­ments demon­strate the desertion of prin­ciples for loyalty to a man. Like all of us, Trump will have to answer to his Maker for his sins. It is per­fectly rea­sonable to support him for his policy posi­tions while still admitting that he has many deep char­acter flaws. With that said, it is also rea­sonable to point to these flaws as a dis­qual­i­fi­cation for any person as a leader worthy of support. But what is not acceptable is a cor­ruption of our morals and values to kneel at the altar of a man. If we decide to put our faith in men, we will be dis­ap­pointed. But, if we stay true to the eternal morals, values, and truths handed to us from God above, using pru­dence as our guide, con­ser­v­a­tives will be fighting the good fight handed down to us from our fore­fa­thers. And that is a battle worth winning. Erik Halvorson is a senior studying Eco­nomics. Mitt Romney demon­strated a few things with his Op Ed piece in the WaPo-#1, that he’s an insuf­ferable jackass who will never pass up any oppor­tunity to use the Leftist media to attack another Repub­lican. #2, that he is as he was always accused of being, first and ONLY about Mitt Romney and his political prospects. Romney has not a scin­tilla of loyalty, grat­itude or gra­ciousness in him. None. This is why he lost the election to Obama in 2012 and why he couldn’t break out of single digits in the GOP primary in 2016. Pres­ident Trump can be rude, crude and petty. But on his worst day he stands head and shoulders above Mitt Romney. In 2016 Donald Trump cam­paigned to the GOP rank and file, he took his cam­paign to the masses and earned the nom­i­nation the hard way. Mitt Romney hardly cam­paigned at all, he instead flew to wealthy GOP donors and tried to entice their mon­etary support so he could buy the nom­i­nation. Romney doesn’t cam­paign to the GOP rank and file because he has con­tempt for them, doesn’t under­stand them and knows he is per­ceived as an elitist and detached from the problems average Repub­licans face. Mitt Romney gets down on his hands and knees and kisses the feet of the Koch Brothers and Sheldon Adelson so they’ll fund his insincere and themeless cam­paigns. That’s how he thinks it’s done, kiss up to the power brokers and they’ll give you enough money to mass media market yourself as some­thing you’re not. In his first 2 years as Pres­ident Donald Trump got the first major tax reform package in 30 years passed. Romney would NEVER have gotten that done, he doesn’t have the backbone for those kind of political fights. Romney would have done what he did as Gov­ernor of Mass­a­chu­setts-played to the MSM elites and act in a Democrat-Light fashion. 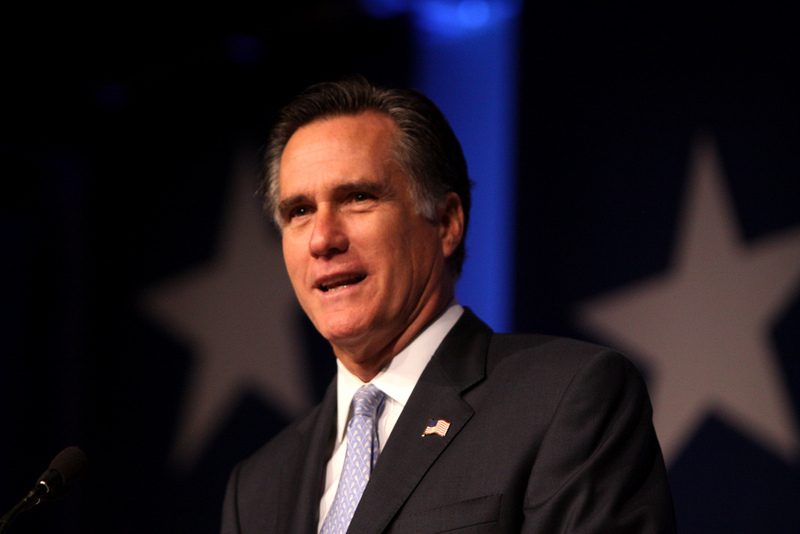 Immi­gration reform from Romney? Forget it! Increase in Defense funding from Mitt? Never going to happen. Trump endorsed Mitt Romney as Freshman Senator from Utah and how did Romney pay him back. On the DAY AFTER he assumed office, Romney put an Op Ed in that bastion of eastern Lib­er­alism-the Wash­ington Post-cas­ti­gating Pres­ident Trump for his ‘lack of char­acter’. This is how Romney shows loyalty and grat­itude. Mitt Romney lacks char­acter, not Donald Trump. If there were every any doubt of that, Romney cleared it up for all time with this careless Op-Ed piece. The worst wounds are self-inflicted, Mitt. All. Pres­ident Trump has made a mockery of our pres­i­dency. Ham­berder. We would be lucky to have someone solid like Mitt Romney around to not plunge us into trade wars or insult our allies, or attack our own war vet­erans. The guy is a joke and he is sup­ported by Dr. Arnn. Until someone in the college admin­is­tration admits this, the school has a void of moral standing. Would we be better with Pres­ident Hillary Clinton? That was the choice we had in November, 2016 and, as Dr. Arnn has noted, you have to select between the two options. I voted for Romney in 2012 because the alter­native was 4 more years of Barack Obama, one of the least accom­plished Pres­i­dents in the last 200 years. I never liked Romney, but he was the best of the two options. Romney paid back the folks who sup­ported him by running a weak, themeless cam­paign and not taking the hickory to Obama’s backside in the second debate. He didn’t fight for us or our beliefs. Romney has no core con­vic­tions that I can see, other than to promote his own desire to con­tin­ually be in the public eye. He loves the attention and the exposure, but a leader he isn’t. He had his chance again in the 2016 pri­maries and couldn’t break out of single digits with GOP voters. People finally figured out he’s a born loser and turned their backs on him. I would rather have Romney in any sit­u­ation instead of Trump. We should be thanking Romney for taking Trump to task over his rogue actions and the poor results that are fol­lowing. Standing up against the bully and the fool who happens to be popular in the moment is a sign of integrity. I hope that hillsdale college people can remember this as their college pres­ident chases dollars while leaving behind a smoke­screen that gives only the appearance of virtue. Mitt Romney stands for nothing you can hang your hat on. He plays for the Elitists and the MSM, that’s all. I held my nose and voted for him once, never again. And he’ll never be nom­i­nated for Pres­ident again, the GOP faithful know him too well. But if you can con­vince him to run as a inde­pendent, have at it. I’m sure there are small frac­tions of the elec­torate who will vote for him. About .0015%, or less. the hillary question is a red herring. The article is about loyalty and what the proper position should be to a pres­ident who is clearly dam­aging our country. Is it correct to stand for prin­ciple and attack the party that usually carries water for your position? Your response is simply to point at the other side and commit the logical fallacy. You say Trump is ‘clearly dam­aging our country’, but provide no evi­dence of that other than you don’t like his tone and lan­guage. By all appear­ances your dislike for Trump is a vis­ceral feeling regarding his style, not sub­stance. I’m not going to argue with that because there is no winning that argument, it gets into feelings-and everyone has dif­ferent ones. In my 64 1/2 years Donald Trump is the Pres­ident most focused on average folks. Cer­tainly the Bush’s weren’t, Clinton was only focused on his con­stituents and Obama had con­tempt for average Amer­icans. Reagan did some good things, but he was limited by what he could do with a Democrat con­trolled Con­gress. Carter was a sanc­ti­mo­nious nitwit who did great damage to this nation, Ford was a short-timer who lacked strong con­ser­v­ative con­vic­tions and was too much a part of the Wash­ington DC Estab­lishment to get needed things done. Nixon was paranoid and did great damage to the country by his embrace of Key­nesian eco­nomics, wage and price con­trols and sev­ering the last vestige of the US Dollar Gold Standard. Kennedy was too focused on his Id to devote much time to gov­erning and Ike was a good man who was out of place in the world of Pol­itics. So I’ll support Trump with all his rough edges as long as he keeps the promises he made to American voters. 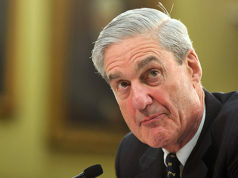 He could have done a lot more if not for the ter­ribly biased news estab­lishment in this nation-and they’re as bad now as they have been in my lifetime. The White House has to fight biased, unfair and out­right fake news cov­erage every single day-the same estab­lishment that gushed over Barack Obama while he destroyed our foreign policy and America’s alliances. There it is. Out in the open — Trump support. This is how we know you didn’t really go to Hillsdale. small list of PROVEN Trump mis­takes: 1) verbal attacks on the expe­rience of many highly dec­o­rated mil­itary vet­erans 2) Inciting of political vio­lence at his rallies 3) Using the boyscout speech as a chance to score political points 4) shutting down our gov­ernment (leading to eco­nomic slowdown over a wall that will not do the job he pur­ports it to do 5) trade war with china and not under­standing our trade “com­modities” are truly com­modities. I tried to pick a good sample of things that impact us eco­nom­i­cally as well as cul­tural ele­ments may have inflicted even deeper costs that we just haven’t felt finan­cially yet. I didn’t even include col­lusion and sedition — acts which I believe he will even­tually be proven to have com­mitted. That’t the best you can provide to demon­strate Trump’s ‘clearly dam­aging our country’? I’d give you a point for the Trade War with China, but even Obama and Bush Jr. tried to take China on for their Intel­lectual Property Theft issues-and failed. If Trump suc­ceeds in addressing that issue his com­modities losses will have been a good investment. The rest of your list isn’t worth opining on. Very dis­ap­pointed that’s the best you can provide. I wonder if you went to Hillsdale College if that’s your idea of good argument. If you aren’t willing to deal with the con­se­quences of #1, #2 and #3 that are felt daily by those who live and work side-by-side with those who are in the mil­itary, then I would chal­lenge you to step outside of your own expe­rience and look at the damage that this does to our national project. I’m not going to bow to the ad hominem attack you make. Your argu­ments aren’t good and you con­tin­ually lash out when this is pointed out. I demon­strate these issues and the fal­lacies implicit in your thinking on a regular basis in these pages. So many Red Her­rings-and I prefer Kippers! Sorry, I don’t find your argu­ments com­pelling or the evi­dence for your alle­ga­tions worth much con­sid­er­ation. You don’t like the Pres­ident, we’ll leave it at that. I actually had high hopes for this pres­ident due to the engagement levels he had and the people he reached out to. Unfor­tu­nately he has not been able to cap­i­talize on this oppor­tunity. The dif­ference between trump and god? God doesn’t think he’s trump. Trump is by most everyone’s accounts…even those on the far right…a godless, immoral, dis­honest indi­vidual who will go down in infamy as America’s worst POTUS. This period in our nation’s history be described as dark and black, soulless, by his­to­rians. The fact that Hillsdale as a college still gives him unques­tioning support speaks volumes about how far the school has fallen over the years. True Con­ser­v­a­tives, captial C, have long ago turned their back on dumpster. But when your school is hawked like a cheap infomercial on Limbaugh’s show…guess we can’t expect much else out of the Hillsdale admin­is­tration chasing the almighty bucks. To any stu­dents who may read these on line com­ments, elec­tions are coming sooner than later…many asked “what’s the worst that could happen if donnie were elected?”, we know now!…VOTE like your Country depends on it…she does! Now get out and make your voices known…speak up, speak out, speak for America. 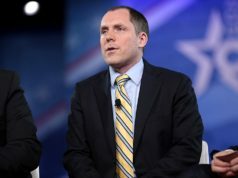 I think it is also worth men­tioning, based on the social media feeds I monitor and the few links I still have with hillsdale — the ram­i­fi­ca­tions of speaking up at Hillsdale have always been threatened. But hon­estly, stu­dents, you don’t need to worry about the teeth that the admin­is­tration will bare at you for speaking up. 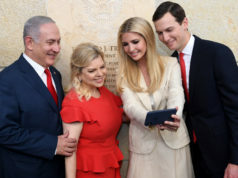 They are morally com­pro­mised because of their misuse of funds, selling the soul of the school for $, and com­mitting their support to this admin­is­tration. Speak up early and often about the next election. We alumni don’t want Dr. Arnn sup­porting Trump again. We all, together, can do some­thing about this.